Everyone wants a “cleaner” body. As we’ve been lead to believe as children, a body that has healthier qualities is more likely to function better, be less susceptible to virus or disease, and live longer. But these days, it’s tough to keep the body as clean through diet as you might want to. Excessive or unwanted salt, alcohol, sugar, fats, preservatives—all of these seem to creep into food intake no matter how hard one tries to avoid them. As such, it’s very common to see people turning to cleanse drinks or to help clean out the body while also providing some nutrients to keep one healthy. There are many of these drinks out there and they all claim to have a ton of detox properties. What Do Cleanse Drinks Do? Cleanse drinks detox systems, according to vendors, and all manner of detox drinks and cleanses are admittedly trendy, but they are typically not based on actual science. 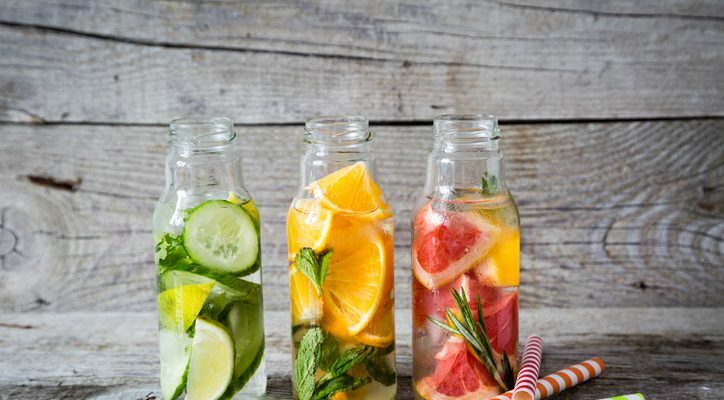 What needs to be understood is that there are different drinks that are meant for different kinds of cleanses, sometimes specific to particular parts of the internal body. Specifically, cleanse drinks are supposed to rid the body of toxins, including amounts of alcohol, drugs, or free radicals that exist in the body. If you go on an ultra-strict diet of cleanse drinks that involves just consuming liquids of various juice combinations, you’re essentially just fasting. That is perhaps where the myth of cleansing drinks arises and where misinformation becomes an issue. If you’re thinking that cleanse drinks will magically cure your health woes or make your body into a superhuman specimen over a week of drinking them solely, you’re in for a bold and potentially threatening shock. You’ll lose weight, but your body will become deprived of other essential nutrients like protein. Normally, people opt for a three-day detox or a week long one. However, in this case, they do not consume any solid food. This is not the right way to lose weight and is not recommended. If you want to still go on a detox diet for a few days, we suggest you consult your doctor before you start. Cleanse or detox drinks should be seen as an addition to an existing healthy diet and workout routine, where the drink is healthy and keeps nutrient levels up. Make sure you have balanced, healthy meals in the day—breakfast, lunch and dinner—which include fruits, veggies, whole grains, eggs, fish, and chicken. Also, it is essential that you get some exercise for at least 20-40 minutes. It is best to have these drinks in the morning. It’s a small part of a bigger health picture. So you’ve decided you want to use a few cleanse drinks in your diet and set aside a time in your day to enhance your nutritional intake while also helping you improve your body’s overall health. That’s great! Now comes the fun part: You have a ton of detox cleanse drinks to choose from. This one is noted for its citrus content, fruit types that are known to give a boost to the body’s metabolism. Skinny detox water is the combination of water, a slice of lemon or lime, a slice of grapefruit, plus some mint and cucumber for stomach-soothing effects. Just add these together and let them stand for five minutes to blend together. Lemon ginger detox drink—For this, you just need a 12-ounce glass of water, a half of ginger root, and a freshly squeezed lemon. All together you get an 11-calorie per glass drink that can help with digestion thanks to the lemon ingredient while also containing gingerol thanks to the ginger, an ingredient known to combat cancer. Watermelon is becoming ever the more fashionable fruit to use. This detox drink is full of watermelon’s natural antioxidants, especially an ingredient known as lycopene that aids in better heart conditions and better blood flow. 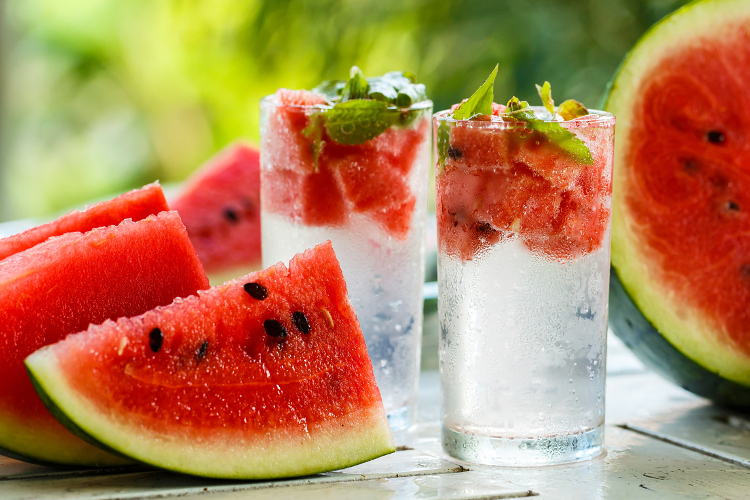 Just mixing a few watermelon cut pieces with a glass of water can give you a watermelon detox in no time flat. A really basic body cleanse drink, but one with amazing benefits. Just take a slice of cucumber, a slice of lemon, 10 mint leaves and combine them together in water and you’ve got an easy detox drink right in the palm of your hand. Lavender is another up-and-comer in the health product market, but with good reason. Lavender has brain soothing elements and that in a handful amount in combination with another handful of vitamin B-rich blueberries in a glass of water can yield a detox cleanse drink that aids both mind and body. Like iced tea? If so, that’s good. This combination of tea leaves mixed with a few slices of lemon and/or lime plus a strawberry or two can provide the best sort of workout drink. One gets an energy kick from the fruit while some caffeine from the tea to facilitate metabolism in the body. This drink has many variations, but all you really need is a quarter cup of, say, 2 kinds of berries—i.e. black currents, cranberries, blueberries—plus a cup of water and 2 slices of lemon or lime. In combination, you’ve got a tasty drink that helps reduce inflammation thanks to the berries’ antioxidants. Quick: cut up a lemon into slices, place it in a glass, add a handful of raspberries, then another of blueberries, fill the glass with water, and you’ve got the lemon berry flush drink. If it sounds tasty, that’s because it is, thanks to the fruit. But it’s also got vitamins galore that boost energy and many antioxidants for the body. Sound tasty? It is. 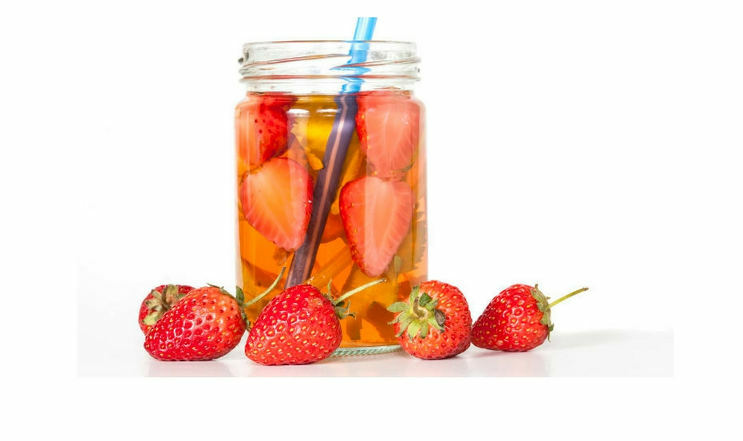 You take three or four strawberries and slice them, add them to a jug of water, add a few slices of cucumber, pear, orange, lemon or lime, and some ice, and you’ve got a refreshing homemade detox drink that gives you the energy boost you need for a working day or at the gym. As it happens, aloe isn’t just for skin health anymore. 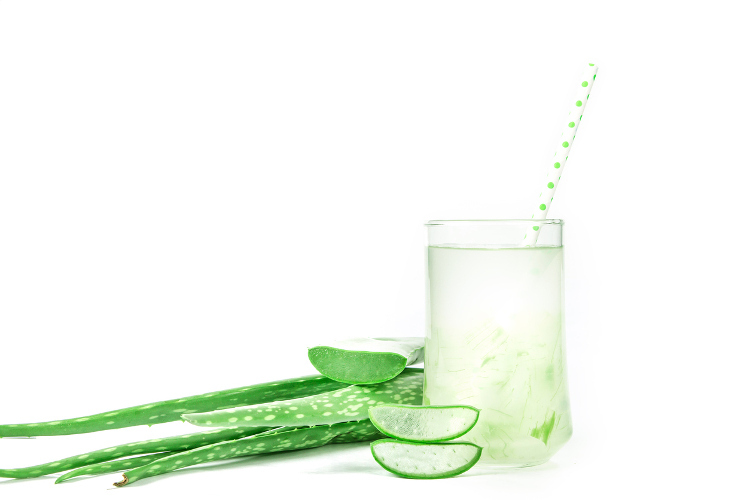 Squeezing 3-4 stalks of aloe into a glass of water before adding a squeezed lemon yields a unique detox cleanse drink that boosts energy. Just note that aloe’s not necessarily good for pregnant women, so one of the aforementioned drinks might be better if one is expecting. There are many, many more selections and a quick search online can reveal easier homemade detox drinks. But give these a go first…you might be surprised at the results! When all is said and done, you might be thinking, “Well, thanks for the list and those drinks do sound nice with some good health benefits. Noticed how much fruit and subsequent vitamin C are in the above drinks? Vitamin C, also known as ascorbic acid, is beneficial to the immune system, and may help your organs function better so they can ward off disease. An improved mindset Don’t laugh: cleanse drinks help purge toxins from the body that make the mind better, while the practice of making them help you better align your life to focus on staying healthy and focusing on the good things in life. Looking young Again, it sounds wild, but if you think of all the toxins from junk food or smoking that contribute to the aging process, having access to regular cleanse detox drinks can help stifle the aging process, keeping you looking young over time. Having said that, it is best to eliminate both smoking and junk food from your life, if possible. 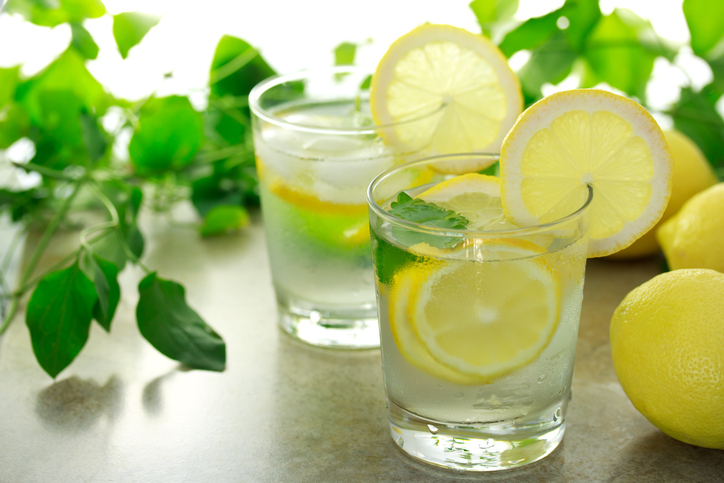 Weight loss The soluble fiber and nutrients in detox drinks boost the metabolism while throwing out toxins. In short, you may help your body get rid of a lot of waste and excess pounds, feeling lighter as result. The energy kick It might sound redundant, but in a day and age when people go nuts drinking coffee or energy drinks to keep themselves going throughout the day, they don’t realize how much harmful material they are putting into their bodies. Cleanse drinks allow for the ingestion of healthy material into the body while providing the dose of energy people crave for, thanks to the nutrients that the drinks have within them. It’s hard to believe that cleanse drinks can be effective. But they do have benefits, and judging by how few ingredients are needed with each one, they can do a lot with a little. Spend some time examining them: see what goes into their preparation, experiment a bit, and then put them into a daily routine. Find out for yourself the results they can bear. From increased energy to a faster metabolism to the simple enjoyment of a refreshing, all-natural drink, you can get bits of goodness in detox drinks that yield results one might not otherwise consider. Additionally, remember that anything in excess is bad and the same applies to detox drinks. You cannot just sip them throughout the day because it can lead to certain ill effects. You may experience changes in bowel movements and frequent urination. If you don’t eat well, then you may experience headaches, mood swings, bloating, and fatigue among other health conditions. Pregnant women and people with kidney issues especially should always consult their doctor before starting detox regimes. Here’s to living life and drinking well for a healthier life.